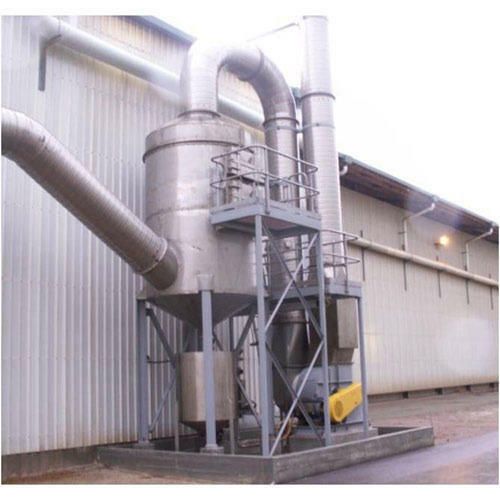 Scrubbing System is used for gas cleaning purpose with the view to bring down the concentration of air pollutants within the statutory limit at the discharge point. The scrubbing system comprises of suction hoods with flow control dampers, ducting, scrubber and centrifugal exhaust fan/blower. Exhaust fan/blower is installed at the discharge side of the scrubber. MOC of scrubbing system shall be suitable for the duty conditions and the same can be provided in MS, GI, Al, SS, PP, FRP, FRB or FRV. TAWDE Group is comprised of three business segments viz. Environmental Consultancy, Manufacture of Pollution Control Systems and Manufacture of Flameproof Equipment. The Group has been servicing large, medium and small scale industrial and commercial sectors across India and overseas. TAWDE Group was founded in 1990 by highly qualified and experienced technocrats in their respective fields. The Group is headed by Subhashchandra Tawde, IIT-B qualified engineer having vast experience in technological and management fields. Our team of application engineers study specific requirements to give a comprehensive solution to the customer followed by successful execution. Prompt service after sales is provided at all times. Our manufacturing and testing facilities are located at Mumbai and Thane, India. We have an associate MOEF approved environmental analytical lab facilitating our Environmental Consultancy services.